Drawn to Death is out, and while the final game hasn’t lived up to its fullest potential, David Jaffe’s take on the multiplayer hero shooter/arena shooter remains a fun game to check out- especially for the price of absolutely free, which is what you can get it for if you are subscribed to PlayStation Plus. If you are interested in jumping in, the series of trailers for it that showcase the characters you can play as may be helpful to you in terms of you picking a character for yourself. 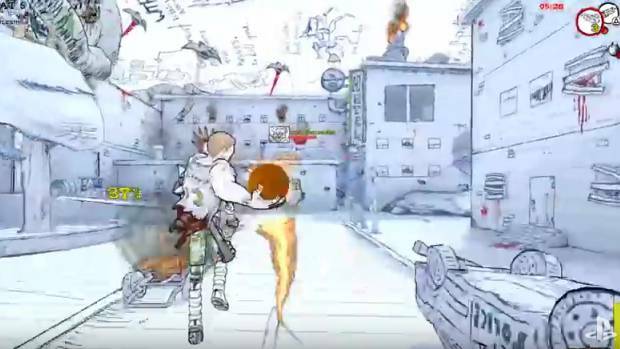 Take this newest trailer, for instance- it introduces Ninjaw, a half shark/half scantily clad human female- hey, Drawn to Death is supposed to take place in the doodles drawn by a teenage boy, after all. This is just the kind of thing that he would come up with. You can check out the trailer for yourself below. Stay tuned to GamingBolt for more coverage and information on the game.